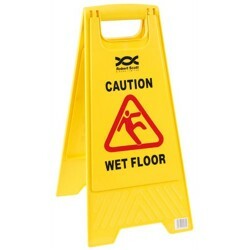 We stock floor signs which can be made to your specification and could possily creat a custom floor sign if you cantact us. Made from polypropylene. A frame design Bright and noticeable warning on both sides. An essential ad..